My friend Deepak Chopra was busy tasting the roadside snacks with his family members. All of a sudden, a flashy car went past him and he was awestruck the moment it happened. He made up his mind to buy a car of that grandeur. As Deepak was earning big, he applied and was pretty confident of an approval. He was almost celebrating till the news of rejection came to haunt him big time. The effect of the news was so severe that for a few days he could not sleep with ease. He was left wondering as to what led to the rejection. 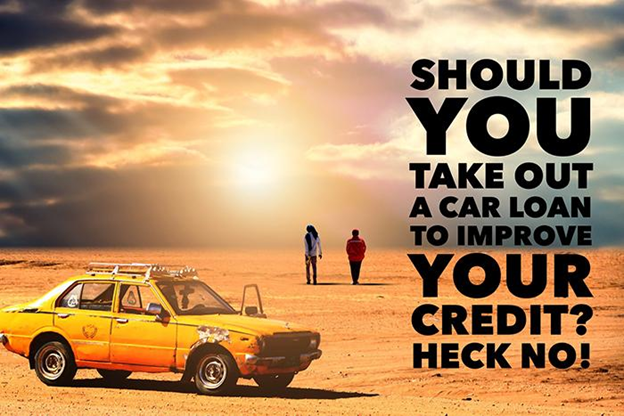 When he raised this query to the lender where he applied for a car loan, the answer that came was a poor credit score. The poor score was a result of constant default on the payment of credit card dues in the past. Deepak didn’t check his credit score before applying for a loan. But you better not commit the mistake of Deepak and instead check your score before submitting an application. And if you wondering where to check your credit score, there’s none better than doing so at Experian, widely regarded as the world’s most prolific credit information company that generates credit scores as well as reports to individuals with a credit history. You can check the score free at Experian at the same time. So, let’s know more about Experian Free Credit Score. How to Check Your Experian Credit Score? All set to check your score online? Visit the official website of Experian, answer a few personal and credit-related queries before clicking on ‘Submit and Continue’ button. The details will be verified online for authentication. Post which, you can create a login by choosing a User ID and Password of desired length, character, numeric and alphabet. You can thus login to check your Experian score free once a year. Anything beyond will incur a cost of ₹500 or more. How Much Experian Score Should You Have for a Car Loan? Experian score, which ranges from 300-900, must be above 700 or so for an approval on the basis of credit score. Other factors such as income and repayment potential would also be considered for an approval. How to Improve Your Experian Credit Score? Improving a credit score means you have had a record of servicing a debt, be it a loan or a credit card. If you have created the blots by not showing any discipline at the time of repayment, chances of a poor credit score are immense. Well, there are ways by which you can get your score move up. What are those? Let’s read on. Don’t Commit Default at All - If you have defaulted on the loan payment, the score can come down rapidly. Intentionally or unintentionally, failing to pay the dues dent your score. Unnecessary spends have taken almost everyone under their grip and are held accountable for the delays and defaults in payment. You first need to keep a firm lid on it so that you can save enough for a timely repayment. Maintain this habit for a fairly greater period will help increase your score over time. Don’t be Extravagant in Credit Applications - One can apply for too much and that too within a short period of time, hence letting their credit score go for a toss. This extravagant behaviour lowers the credit score drastically as it indicates that you are going all out for credit, come what may. It is a credit-hungry impression that you should avoid creating. Show Discretion in Utilizing Credit Limit - With credit cards what happens is shopping galore, which takes out a lot of credit limit and makes credit bureaus like Experian believe that default is just around the corner. This impression further culminates into a poor score. That’s why a shopper must use his/her discretion while spending via credit cards. Don’t flaunt as most do. Know your spend limits and adhere to the same. You should utilize more than 50% of the credit limit offered on a credit card. All these steps can help you reach a level that would prompt lenders to accept your car loan application.